Stars do exist, but can die away and explode, and out of such explosions come the phenomena of supernovae (plural of supernova) and black holes. But what do they prove? What is supernova and what is a black hole? The first type of supernova happens in binary star systems. Binary stars are two stars that orbit the same point. One of the stars, a carbon-oxygen white dwarf, steals matter from its companion star. Eventually, the white dwarf accumulates too much matter. Having too much matter causes the star to explode, resulting in a supernova. The second type of supernova occurs at the end of a single star’s lifetime. As the star runs out of nuclear fuel, some of its mass flows into its core. Eventually, the core is so heavy that it cannot withstand its own gravitational force. The core collapses, which results in the giant explosion of a supernova. The sun is a single star, but it does not have enough mass to become a supernova. (Reference) . On the other hand, Astronomy defines black hole as a region of space having a gravitational field so intense that no matter or radiation can escape. According to NASA, most black holes are remnants of supernovae explosions. Supernovae and black holes are extra-ordinary happenings that prove the authenticity of the Bible. It is because they involve billions of time to happen, giving implications for the most probable age of the planets including the earth – and their temporary existence. These phenomena also connect with science because their happening involves space-time dimensions as well as mass-energy dimensions as predicted by scientists like Albert Einstein. But while they happen, they point to a creator that has engineered these heavenly bodies not to collide with one another as they perform their assigned tasks and then die. The first object to be generally recognized as a black hole is the X-ray binary star Cygnus X-1. Its effect on its companion star suggested as early as 1971 that it must be a compact object with a mass too high for it to be a neutron star. (That was 2 years after the American astronomer John Wheeler coined the term ‘black hole’). In the late 1800s and for the first decade of the 1900s, scientists seized the opportunity to further develop the germ theory of disease as enunciated by Pasteur and proved by Koch. There emerged a golden age of Microbiology during which many agents of different infectious diseases were identified. As impressed by the Bible, some things are really reserved for the future. The book of Daniel was written in Babylon, once a center of civilization and knowledge. With what they knew during those times about science and technology, it will not be a guess if we presume that no one in those times will ever think of cellular phones, computers, tablets, power banks, and the like. This is where the Bible as a book is outstanding! In the Bible, we may know the ending from the beginning because it is not like just any book made by men but it comes from somebody who knows what will be the end from the beginning. Most books authored and published by men are teeming with records of the past (Many are not reliable) but not with a single thing that is going to happen in the future. This thing for me is marvelous! To tell exactly what is going to happen 2,500 years ahead is not within the knowledge of any existing being except God! This declaration from the Lord is not just a fact but can be a challenge to whosoever will not believe. A story is told about a lady cooking at midnight and when asked by her son what she is cooking answered, “Something special for our breakfast.” But she never had that breakfast because she died while sleeping. Tomorrow is the nearest future there is, but humans cannot be certainly sure of what is going to happen from today’s moment. Back to the stars, according to scientists and astronomers, (I do not want to include astrologers) black holes are formed when a red giant star explodes. As stars get smaller, they live longer. Our own Sun has been around for 4.5 billion years, slowly turning hydrogen into helium at its core. The Sun will run out of this hydrogen fuel in another 5 billion years or so, and it will turn into a red giant. It will expand to many times its original size and then eject its outer layers and shrink down to a tiny white dwarf star, a dense object the size of the Earth. So the total lifespan of a star with the mass of the Sun is about 10 billion years. The Bible describes the glories of the sun, moon, and stars where their glory differs from one another. But how do their glories differ from that of the Creator? But in spite of all its glory, a star will not forever exist. It will be outlived by its Creator! Biblical truth allows “the growing old” of a star – a clear evidence that the six days of creation are not literal 24-hour period days! 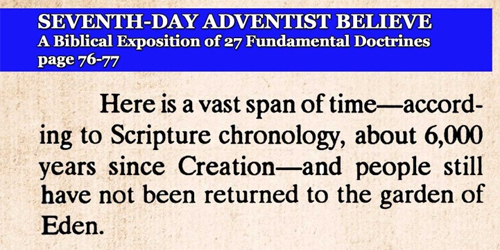 It is silly to say that each day in creation is a literal 24-hour period! That would not be scientific anymore. The reckoning to be considered is eternity as the Creator who made stars and everything that exists is eternal. To recklessly conclude that the creation happened in less than a week is stupidity. Clearly, time to man is different from time to God, the eternal. The verse shows the infinity of the Creator and gives us an idea of what eternity is. What a human can afford to do in a day, he cannot do in a thousand years! Existing a thousand years to man is just like existing for a day to the creator. Such denotes the eternal power of God. 19 Because that which may be known of God is manifest in them; for God hath showed it unto them. 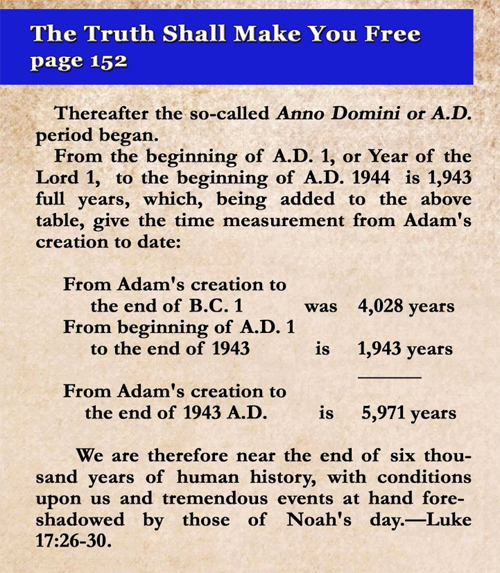 These verses must allow billions of years to be proven true – if we believe the Seventh Day Adventist and the Jehova’s Witnesses, Ken Ham and the group he represents – that such creation happened only 6,000 years ago. Then one may doubt the authenticity of God’s word and live with that doubt for the next millennium, thereby disqualifying him for salvation. But let him ask in faith, with no doubting, for he who doubts is like a wave of the sea that is driven and tossed by the wind. Supernovae and black holes are proofs of the authenticity and the wonderful truth in the Bible. They are phenomena arising from what the Creator has made. When stars grow old, they dissipate as taught by the Bible, because there is to be a new world that God has in store. Modern Science, history, and prophecy go hand-in-hand, backing up what the Bible teaches about the universe.